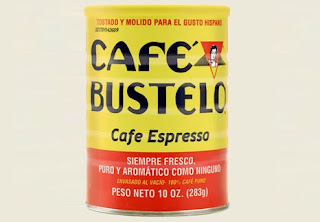 The Herald reports that the family that owns Cafe Bustelo and Cafe Pilon, Miami icons, is selling out to Smuckers. Smucker said it plans to close the Miami production facility within the next three years and relocate all production to a New Orleans plant that will be handling roasting and production for all its coffee brands, which include Folgers and Dunkin’ Donuts. The publicly-traded company also plans to consolidate distribution and marketing operations. Some employees are expected to remain in Miami to service restaurants and other food-service operators, said company spokeswoman Maribeth Badertscher. Employees not offered continued employment will receive severance packages, ranging from 12 weeks to one year. 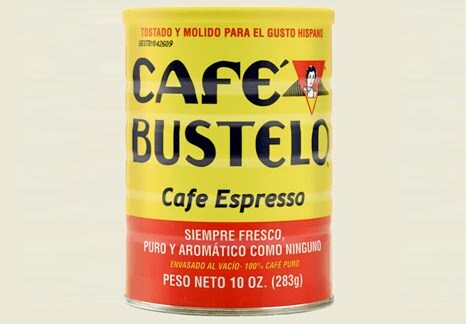 The image is the can, as indicated, but the label is retouched to say "CAFE BETRAYAL"
The legend: "Selling out Calle Ocho for the big bucks."